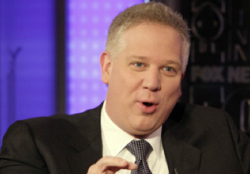 Glenn Beck is thinking about starting his own cable channel, the New York Times reported. Beck’s contract with Fox News is up in December, and both sides are, as an earlier Times report put it, “contemplating life without” each other. On Monday, news broke that Beck was hiring a Fox News executive, Joel Cheatwood, to a senior position at his Mercury Radio Arts company. This was seen as a signal that Beck was gearing up to bolt Fox News, though sources there dismissed the news as irrelevant and said that Mercury was playing a “dangerous game” with Roger Ailes. The Times’ Brian Stelter reported that Beck has been thinking about starting his own channel for over a year. He could rebrand an already existing channel in his image, in a move akin to the launch of the Oprah Winfrey Network or Martha Stewart’s move to the Hallmark Channel. He could also choose to extend his “Insider Extreme” subscription package on his website. According to Stelter, Beck will not want to compete with Fox News if he leaves. Rather, he will seek to leverage his personal brand and his devoted followers into higher profits and a broader reach. Beck has been fairly cryptic about his future with Fox News. In a lengthy monologue on his radio show last week, he would only say that he and his audience would “continue to find each other,” whether on Fox News or elsewhere.